What to do with a surplus of ham? 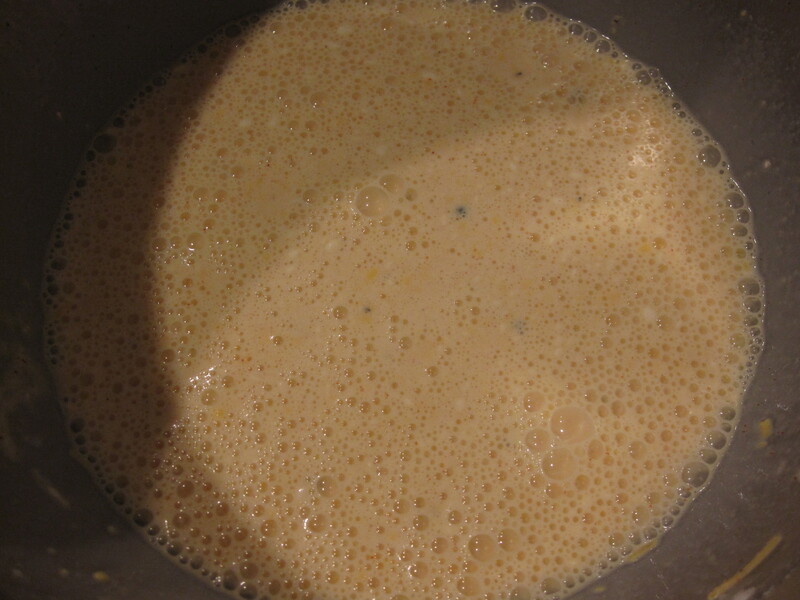 Make quiche! Shake things up a bit and serve breakfast for dinner some time! It worked out really well for us one night and I actually had this savory meal for leftovers the next night too. 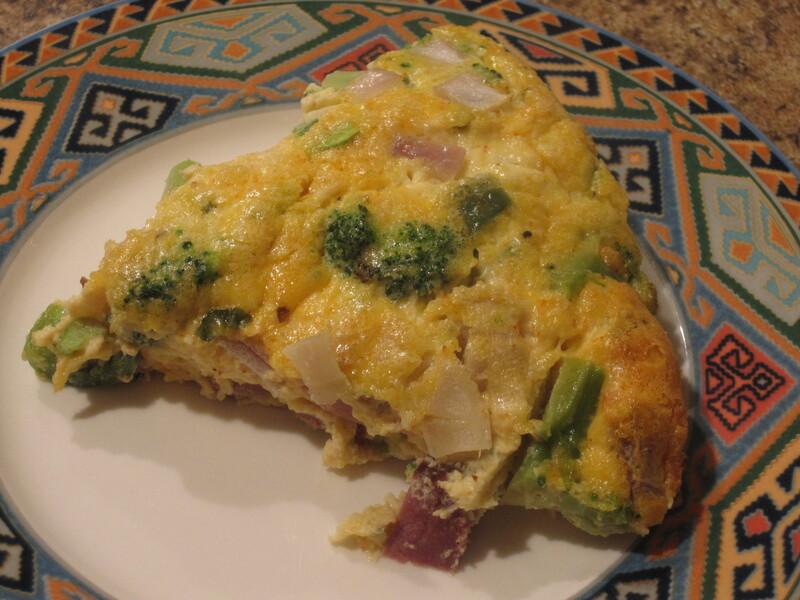 We opted for a crust-less version of quiche to cut the carbs, but if this is not something you care to do, it can easily be made the same way by preparing it in a ready or home-made pie crust. This dish is easy to prepare and you can throw in just about anything you have laying around. 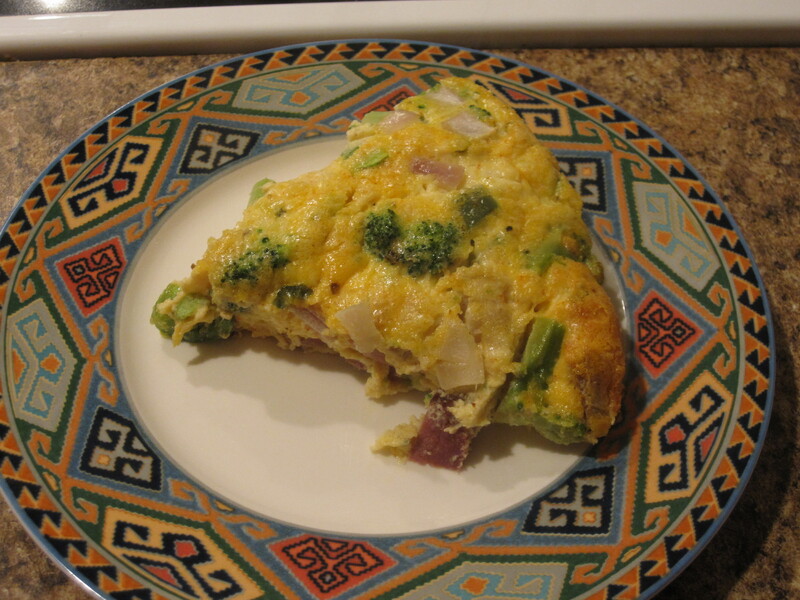 This particular quiche was made with broccoli, ham, red onion and cheddar cheese. 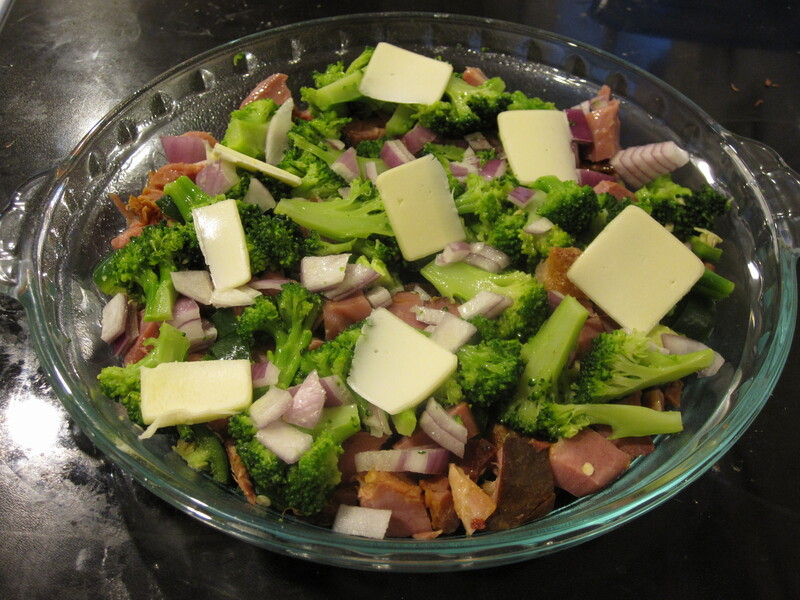 Greg began by putting the broccoli, ham, and red onion into a pie dish, which he first sprayed with some non-stick spray. He topped this with a few pats of butter. 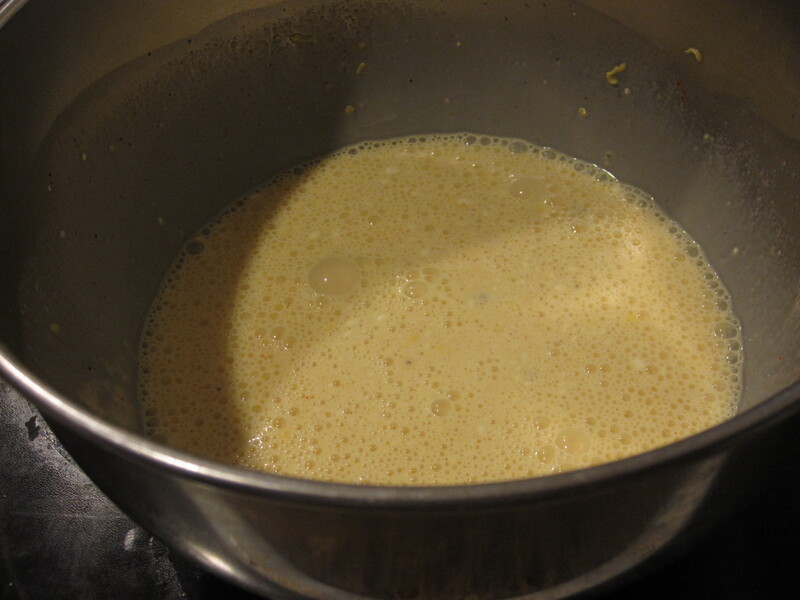 Next he whipped up some eggs, cream and cheese. Which he then poured over the veggies and ham. This baked in the oven for a total of 40 minutes or so, until it was a little brown on the top and cooked through. It was great! 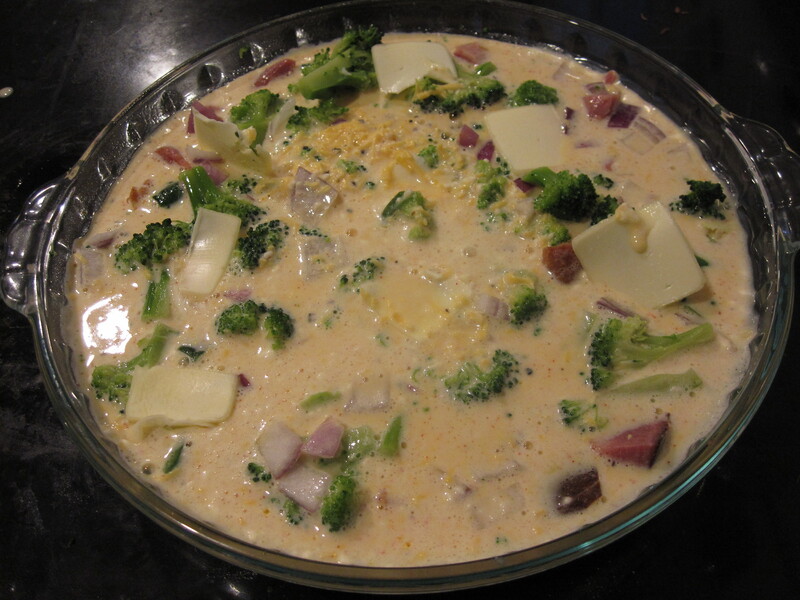 I really enjoyed this dish and it was relatively simple and easy to make. It tasted great with hot sauce too. For leftovers, I ate it over a salad and that worked nicely too. Nothing fancy schmancy here- just some good ‘ole basic ingredients. Simple, but good. 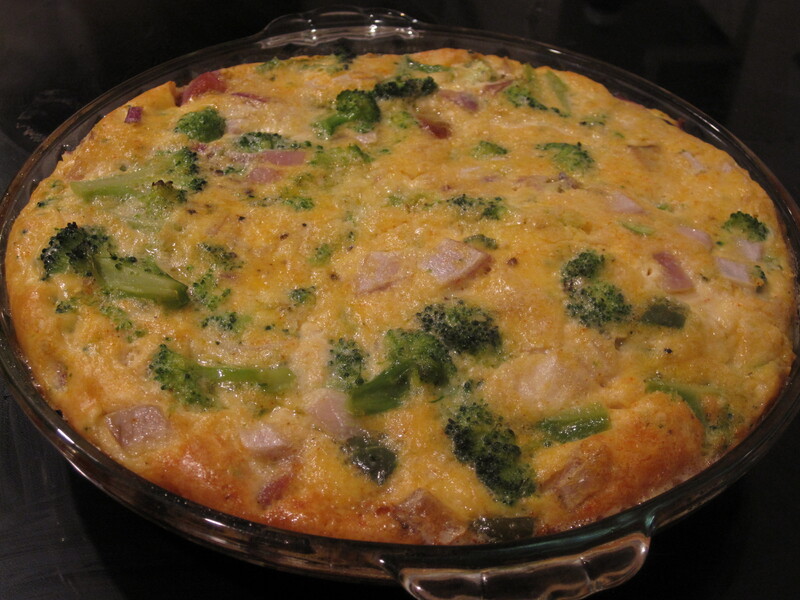 This entry was posted in Breakfast and tagged breakfast ideas, broccoli, cheese, easy, good leftovers, ham, homemade, low carb, one pan, quiche, quick. Bookmark the permalink.